In September 2018 the Myanmar Water Portal was nominated for the ASEAN Rice Bowl Start Up Awards. 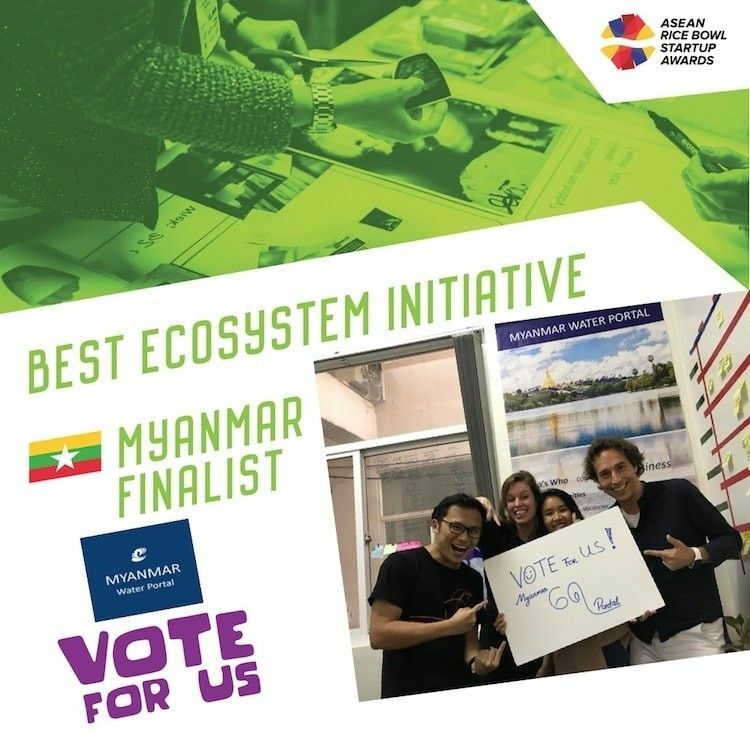 We were nominated in the category Best Ecosystem Initiative in Myanmar. The ASEAN Rice Bowl Start-up aim to promote the spirit of innovation and entrepreneurship in the Southeast Asian start-up ecosystem. The Awards reward innovation, excellence, and best practice in start-ups across the region. The Myanmar Water Portal was considered a nominee because of the role the Portal plays in creating an open, collaborative ecosystem for the water sector in Myanmar, encouraging local and international stakeholders to communicate, share their knowledge, insights and activities online so that everyone has access to all the information available.